Many people in the insurance industry work hard to avoid the bad reputation that insurance typically carries. However, people often jump to negative conclusions about anything involving insurance. Time and time again, we come across people who have the wrong idea of what an insurance broker is and why they are actually advantageous to the consumer. We have heard they are a waste of time, waste of money, and only care about making their commission. Being a dedicated group of insurance brokers, we can tell you that those descriptions are often false! Everyone is entitled to their own opinion, but when we hear information that is incorrect, it encourages us to step in. 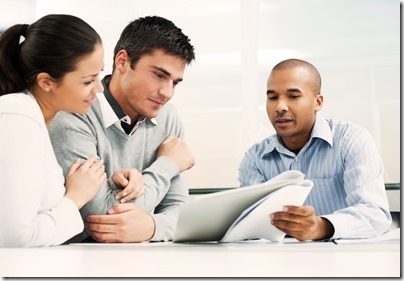 Do you know what an insurance broker does? If you know the answer to, then you are already aware of all the benefits of using an insurance broker. If not, learn why you should be using one. Take the time to find a quality, reputable broker to work with you in fulfilling your insurance needs. Not only will it be time well spent in the beginning, but it will also serve you well for the entire time that you have insurance needs, whether you are working on a yacht or wherever your travels may take you. One benefit of an insurance broker is the selection of policies and plans. Typically, brokers can help you select insurance from a variety of different companies. Different insurance companies offer different plans, so having access to plans from multiple companies can afford you the opportunity to find the coverage that fits you best. Also, depending on the insurance brokerage they may sell different types of insurance, allowing you to have a one stop solution for all your insurance needs. While brokers may act as the middle man between you and the insurance company, they can be so much more than that. An insurance broker will conduct research for you, file and assist you with the claims process, and work to get you the best coverage option for your situation. Often times a broker has direct connections with decision makers at the insurance companies so you may not have to sit on a 1-800 line for a long time, only to learn someone doesn’t have the authority to help you. Brokers also know which carriers provide consistent service, allowing you to avoid companies that may not deliver the level of care that you deserve at time of claim. As brokers, we do not work for any insurance company, we work for you! Our goals are to please you, and make sure all you questions and concerns are handled. If you think about it, with all the benefits of using an insurance broker, it is certainly better than just going out and buying a policy from an insurance agent. Will an agent fight for you and your best interests? Having proper insurance is important in every aspect of life. Whether you are at sea needing international coverage, looking for proper life insurance coverage, going on a vacation, etc. MHG is your specialized broker. Our insurance specialists have the knowledge and experience to find the policy that works best for you. If you are interested in purchasing, or have any questions about marine crew insurance, travel insurance, U.S. life and health, expatriate insurance, or property and casualty, please contact us at +1 954 828 1819 or +44 (0) 1624 678668 or visit us online at mhginsurance.com. For more information on debunking insurance broker myths, read our previous blog, “Debunking 5 Myths About Insurance Brokers”.